We are pledged to protect, respect and assist you in many ways. My office provides you with information, helps you file a report, request records, report a crime, find a location, or ask a question. Thank you for your interest in participating with our online satisfaction survey! 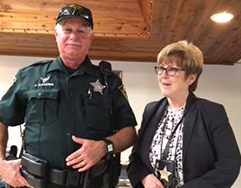 The Orange County Sheriff's Office works hard to make sure our residents and visitors feel safe. One of the ways we can improve is to get feedback from the community. 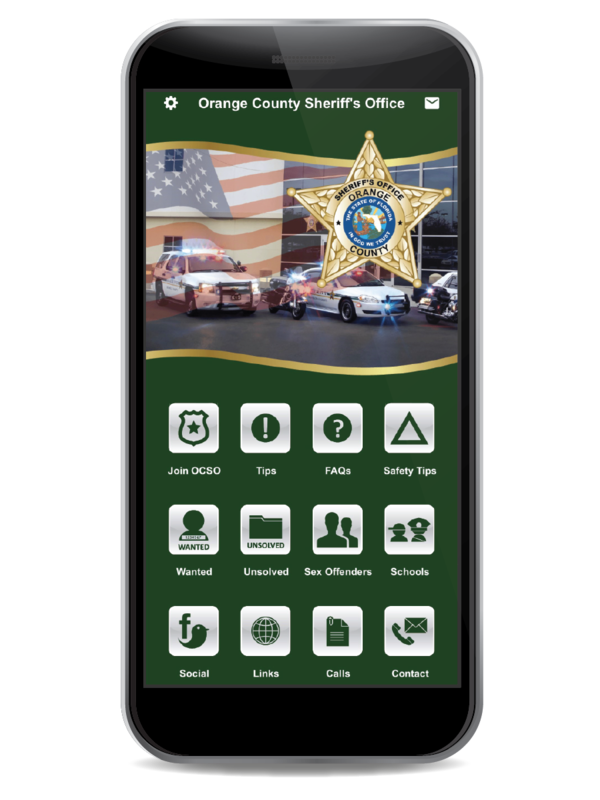 The OCSO Reporting System allows you to submit a non-emergency report. You can report the following incidents: Lost Property, Identity Theft, License Plate Lost/Stolen, Vehicle Burglary, Harassing Phone Calls and Vandalism. The Records/Identification Section is open from 8:00 a.m. until 5:00 p.m., Monday through Friday. Public Records request are accepted in person, via mail, phone request and email. Staffed by state certified Crime Prevention Specialists, the Orange County Sheriff’s Office Crime Prevention Squad is committed to the task of stopping a crime before it can occur. In this section, you will find a listing of contact information for various services in our county along with frequently requested phone numbers. Throughout the year the Sheriff's Office and its employees participate in or host a myriad of functions and special events. Many of these activities benefit special causes or people in need. Whether you are seeking a position as a sworn deputy sheriff or looking for a job in one of our civilian support positions, the Orange County Sheriff's Office offers excellence in training and opportunity. 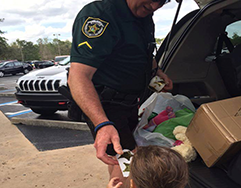 Our law enforcement team does a lot more than crime prevention. We are here to help! Different ethnicities and backgrounds. Everyone is involved with educating the next generation. Leadership, confidence, and pride are traits deputies demonstrate everyday. 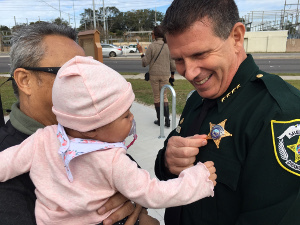 Get to know the Orange County Sheriff John Mina and his staff! Please join us at one of the upcoming events to meet deputies and learn about our commitment to the residents and visitors of Orange County. Check back often for updates! We speak your language. Whether Spanish, Portuguese, Creole, Chinese, Vietnamese, or Thai, our deputies are part of the fabric of Orlando and all areas of Orange County. From natural disasters to emergencies, accidents, or a community crisis, our team has the capabilities to get there fast and take immediate action. It’s all part of what we do. In December, our Aviation Section surprised the Rodriguez Family with a Christmas to remember. The family lost both parents to cancer in recent years and 20-year-old Samantha stepped up to raise her five younger siblings. The kids got a tour of the Aviation unit and were surprised to see piles of gifts for each of them. Since then, several anonymous donors stepped forward to help Samantha and her siblings get a brand new car. 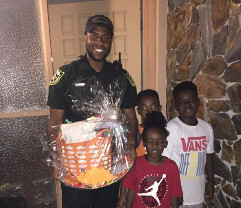 OCSO has continued to receive additional requests to help the family. Financial donations to the family can be made through GoFundMe. We are touched by the support Samantha and her family have received from our Central Florida community. Watch the Christmas Surprise Video. The Orange County Sheriff's Office is committed to preventing crime through community involvement. The Police Athletic League (PAL) is a great way for deputies to build important relationships and mentoring opportunities with kids in Orange County. The program gives at-risk youth before and after school activities and opportunities to build positive relationships with law enforcement. These positive interactions help reduce the incentives to engage in criminal behavior, drugs, and violence. Learn more about the Police Athletic League on their website.